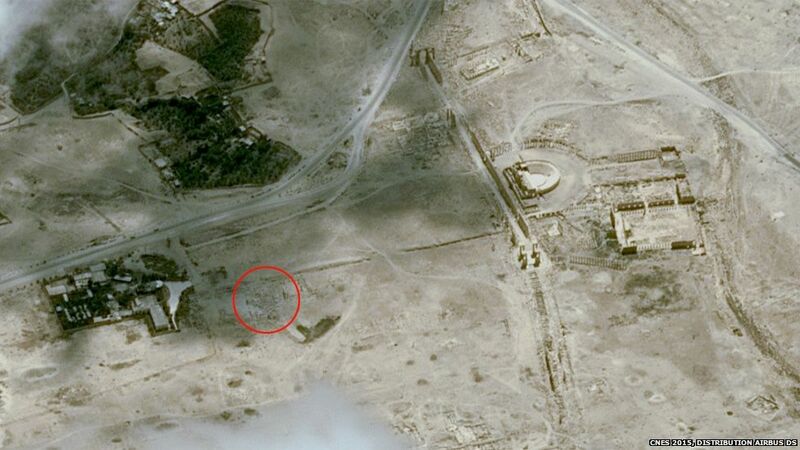 UN training and research agency UNITAR has confirmed satellite images taken on August 25 2015 visually confirms the destruction of Palmyra's Baalshamin Temple by Islamic State militants. "We confirm the destruction of the main building, while surrounding columns seem to be less affected." The destruction of the temple was reported to have happened last Sunday, August 23, 2015 shortly after 4:00 pm shortly after the Islamic State published photos indicating they had beheaded Khaled Mohamad al-Asaad, the retired head of antiquities for the ancient city of Palmyra, a UNESCO World Heritage Site. Earlier this week the Islamic State published images showing various containers, containers, presumably containing explosives, placed around and inside the temple as well as an image of what appeared to be a large explosion at the time of the temple’s detonation. 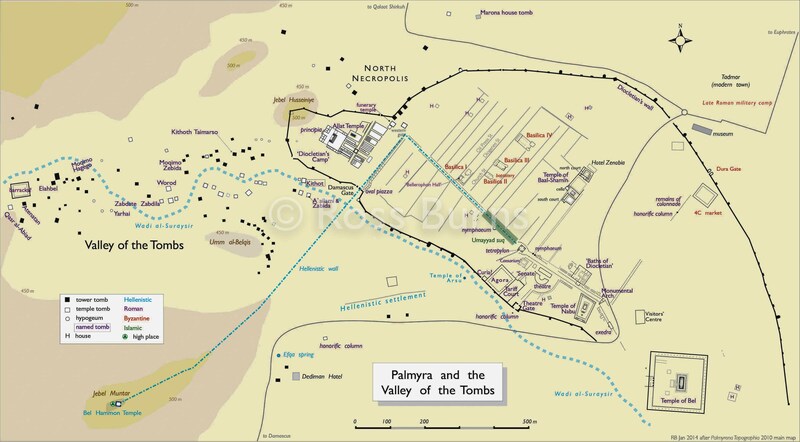 Comparing site map images of Palmyra by Ross Burns, an author of two works on the archaeology and history of Syria, with the newly released Pléiades image reviewed by UNITAR, one can see that at the time the images were taken the Temple of Nabû had apparently not been subject to intentional destruction. Nabû’s temple is located to left of the colonnaded street adjacent to the monumental arch of Septimius Severus. Nabû is believed to have been a Mesopotamian god of wisdom and oracles. The trapezoid-shapped temple dates from the last quarter of the 1st century CE through to the 3rd century.